Flip to "Where the Blame Lies," Sackett and Wilhelms Lithograph Co., April 4, 1891. In coal patch towns across Pennsylvania immigrant miners and their families lived in company-owned housing and were forced to buy at company-owned stores. By joining a union or protesting wages or work conditions, miners risked losing their homes as well as their jobs. 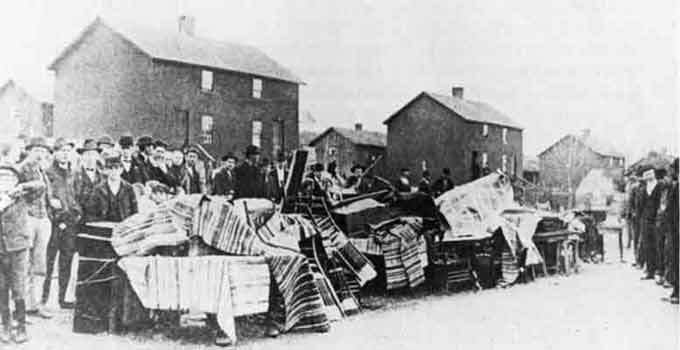 During the 1902 anthracite coal strike, the expulsion of families from company housing strengthened rather than weakened the resolve of striking workers and their supporters.